POLL: Blush Pink/Rose Gold Trend - Hot or Not? A soft blush pink is this summers new interiors craze. This dusky colour creates a feminine ambience with an element of class especially when teamed with gold, rose gold, or faux fur. Extremely chic for any on-trend design lover but will this style be yet to stay? I really like this look, but it wouldn't look good in my home at all. Still, I think I'll vote hot! We are currently enjoying taking the Rose Gold trend through into the bathroom - looks good with darker surrounds, also! In small doses this can be lovely. I do think it will date very quickly though. I really love this look. If cleverly and tastefully done it can look just amazing. Luxurious feel-Perfect for the right client looking for that style! Looks a bit outdated in our books! Personally, I love the colour but agree that in the wrong setting it might quickly appear outdated. 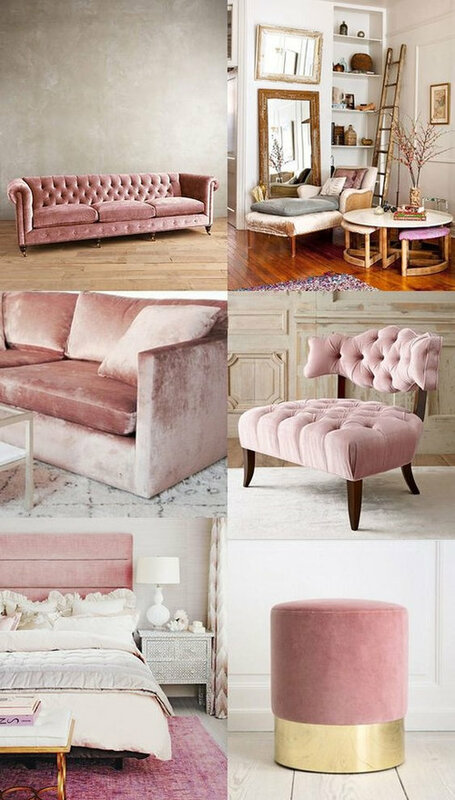 I think blush pink velvet is BEAUTIFUL, though not entirely convinced of the contrast with rose gold - less is more with this one for me. POLL: Copper - hot or not? Your home vs. your childhood home?